Are you looking for a high protein dog food but you’re completely confused when you look at the label? Let’s face it, there are pet food companies who really want the best for your dog and there are pet food companies who only want what’s best for their bottom line. But the one thing pet food companies have in common is they all want your business – and they spend a lot of money on fancy labels and clever marketing to get it. So you want your dog to eat a food with high quality protein (and you should, so good for you if you’ve read this far!). But you don’t want to spend a ton of time doing calculations and comparisons – and you don’t want to rely on the pet store employees to recommend a food (because who knows how qualified they are). If this is you, then you need to know about the Pet Food Label Rules. If you know these 5 simple ingredient rules, then you’re well on your way to choosing a better quality, high protein dog food. Most pet foods are made to meet AAFCO (Association of American Feed Control Officials) requirements. AAFCO publishes minimum nutritional requirements for pet foods and they tell pet food manufacturers how to meet those requirements so they can call their food 100% complete and balanced. AAFCO also pays a lot of attention to the package the food is kept in – specifically, they’re interested in what words can and can’t be used, where the type will be on the label and even how large or small the words can be. AAFCO also regulates the words that are used to describe a food and this will give you a good idea of how much protein is actually in that food. This is important because AAFCO doesn’t require pet food companies to tell you how much of any particular ingredient is in the food – it takes some fancy math skills to figure that out, and even then, it’s just a best guess. But AAFCO has regulated certain names on pet foods – and pet food companies need to abide by these rules to use these names on their labels. And these 5 rules are a very good way to quickly evaluate a dog food. 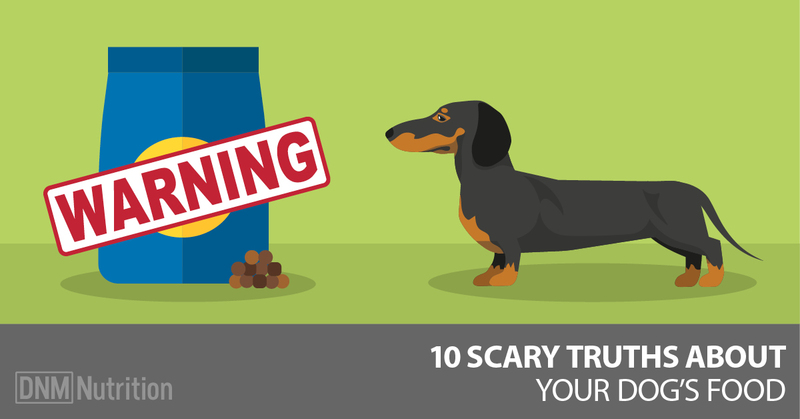 The 100% Rule means a dog food is made up completely of that one ingredient – it can’t contain any other ingredient except water. This bag of dog treats is 100% lamb – there are no other ingredients except water. Pet food manufacturers started taking some liberties with the 100% rule and started naming their foods “Chicken Dog Food” when they didn’t contain 100% chicken. So AAFCO created the 95% Rule, which requires that the animal ingredients must be at least 95% of the total weight of the product. Now there aren’t a lot of these super-high proteins on the market because they’re expensive to make and they’re expensive to buy … animal protein is really expensive! So adhering to the 95% Rule is really expensive. The 25% Rule lets pet food companies name their food “chicken” or “beef” without adding a lot of these expensive ingredients. It’s also called the “Dinner” or “Entree” rule. So the 25% Rule states that if a pet food is to be called “Dinner” “Entree” “Formula” or “Recipe” then the main ingredient needs to be at least 25% of the total ingredients. So “Select Beef Formula Dog Food” must contain at least 25% beef. Pretty straight forward, right? If it’s a dry diet and the first ingredient contains water (and ingredients like chicken and beef contain water), the rules don’t account for the water content. In fact, the food could contain about 7% of that ingredient and still meet the 25% rule. This food can be called Chicken Meal Feast because it contains at least 25% chicken by weight. But you’ll notice it’s called Chicken Meal Feast. That’s a significant little word. Dry dog foods are about 10% moisture on average. But when the ingredients are added, some will contain moisture and some won’t. Meat meals, such as chicken meal or beef meal, are dried when added to foods. So this food probably does contain at least 25% chicken. But what if chicken was added as the primary ingredient instead of chicken meal? Chicken is about 70% moisture by weight. So if 25% of the food ingredients is chicken, then by the time the food is dried, the chicken will have lost 70% of its weight. So a “Chicken Formula” dog food could hypothetically be only 7% chicken. Now this doesn’t mean that meals are better than meats – meals are rendered and highly processed, so their quality is often questionable. But I want you to understand the rules so that’s a topic for another time! But there are many naughty ways to play with the 25% Rule. Now if you picked up a bag of this food, you’d probably assume that beef was the primary protein – it’s called “Beef Recipe” so it must be mainly beef, right? If you look at the label, beef is the first ingredient. But if you look a little closer, you’ll see the second ingredient is chicken meal. Chicken meal is already dried while the beef will be 70% water by weight. So even if this company added twice as much beef as chicken, after processing and drying, there will be about half as much meat as chicken. The 25% Rule can get even tricker … because the rules only apply to animal proteins. So if a food is called “Lamb and Rice Dinner” then the lamb and rice together need to add up to 25%. And now AAFCO only requires 3% of each of these ingredients, including the lamb. This is why most foods are called “Chicken and Rice Formula” or “Beef and Potatoes Recipe” – this allows them to legally bypass the 25% Rule and cut out more of the expensive animal proteins – but still give the consumer the illusion that the food contains a significant amount of a particular ingredient. This bag of Chicken & Rice Formula food will sit on the shelf beside the Chicken and Chicken Meal foods, and consumers wouldn’t know that the chicken in that bag could be only about 10% of other Chicken Formula dog foods. But once the pet food company adds “and _____” to the name, the protein requirement goes from 25% to 3%. And if that protein is meat and not meal, then it goes from 7% to 1% once the moisture is removed. This also confusing when two animal proteins are listed, such as Chicken & Beef. This food is called Turkey, Brown Rice & Venison Recipe. So these three ingredients must add up to 25% of the total ingredients – and each ingredient must be at least 3% of the recipe – before any moisture is removed. This food clearly has a lot more turkey than the more expensive venison in it. In fact, venison is so low on the ingredient list, it only makes an appearance just before the natural chicken flavor. Once the water is removed from the venison, it’s doubtful this food contains much more than 1% of it. Now because some pet food companies have found that 3% animal protein is too expensive, and they still want consumers to pay attention to whatever meat happens to appear in the food, AAFCO devised more rules. Because some pet food manufacturers found 25% meat is too expensive, AAFCO devised the 3% Rule. This way, pet food companies could still call the consumer’s attention to whatever meat does happen to appear in the food. Originally, the 3% Rule applied only to ingredients highlighted on the food package but not included in the name of the product. But the 3% Rule now allows pet foods to be named after a relatively minor ingredient – one that’s only 3% of the total product weight. After water has been removed. This rule makes it hard for dog owners to tell the difference between a food with 25% meat, such as this Real Texas Beef + Sweet Potato Recipe, and one with only 3% meat, which is called With Real Beef. The consumer might assume the food that says Real Beef and Sweet Potato recipe would have less beef than the With Real Beef food. If you were to look at this bag of Blue Buffalo Rocky Mountain Recipe with Bison, you might think there was more than a negligible amount of bison in the food. And if you look at the ingredient label, bison is the first ingredient listed. But you’ll see chicken meal and turkey meal follow the bison – and while the bison will contain 70% water, the chicken and turkey meal won’t. We have no way of knowing exactly how much bison is really in this food, but let’s just assume as an example that there’s 15% bison, 10% chicken meal and 5% turkey meal – which is probably pretty accurate, since this food only contains 27% protein on a dry matter basis. Once the moisture is removed from the bison, the food will only contain 4% to 5% bison – even though it’s listed as the first ingredient and the food says With Bison. Technically, it does have bison – and because it surpasses the 3% minimum set by AAFCO, it can state With Bison on the front panel. This food could sit on a shelf beside a dog food that contains a much larger amount of bison and consumers probably wouldn’t know the difference. But it gets even more confusing if the food is WITH two ingredients, like Eukanuba Adult Entree With Lamb And Rice. The front of the can implies the main ingredients are lamb and rice, but AAFCO only requires 3% lamb and rice combined. If you look at the label, you’ll see find lamb is the sixth ingredient and rice is the seventh. And it becomes obvious there’s actually much more chicken and beef in the food than there is lamb. Are you starting to see how important the Ingredient Rules are? If adding 3% animal protein to a food is too costly, then the Flavor Rule can come into play. Adding flavor is cheaper than adding the actual ingredient, while still having “Beef Flavor” on the label. If you look at a bag of Kibbles ‘n Bits Beefy Bits Savory Beef Flavor, the bag shows a nice big steak on the front panel. But if you turn the bag over, you’ll see that beef and bone meal is the third ingredient, behind corn and soybean meal. It may look like a major ingredient if it’s third on the label, but you can now guess it’s probably less than 3% beef, based on the Flavor Rule. And it is just a guess because ingredients are only listed in order of weight. Again, when you look at a pet food label, you can only see the order of appearance by weight – so there’s no way to determine how much of any particular ingredient appears in the food. So, hypothetically, the Kibbles ‘n Bits Beef Flavor food can contain 97% corn and soybean meal – but with beef as the third listed ingredient, dog owners might think there’s a lot of it. But the name tells you that the beef content probably accounts for less than 3% of the entire diet. Now this particular food in fact does contain beef, but according to the Flavor Rule, it’s not actually required. As long as the list of ingredients states where the beef flavor comes from, AAFCO will approve it. So the beef flavor can come from animal digest (which is a rendered heap of any animal) – as long as the ingredient list states (source of beef flavor) and it will still meet the Flavor Rule, even if the animal digest itself doesn’t contain beef. Here’s an example – if you look at this Kibbles ‘n Bits Beef & Chicken Flavors Food, it doesn’t seem to contain any chicken at all. The source of chicken comes from the animal digest, not from chicken. So the 95%, 25%, 3% and Flavor rules can help you determine just how much meat is in the food when you try to decipher the ingredients. These rules are a quick way to estimate the minimum amount of a given ingredient in your dog’s food.